Houston Texans QB Deshaun Watson has been named to the 2019 Pro Bowl to replace Patriots QB Tom Brady, who is unable to participate due to the Super Bowl, the NFL announced today. Watson, who was originally named an alternate, joins teammates OLB Jadeveon Clowney, WR DeAndre Hopkins, LB Benardrick McKinney, RB Lamar Miller, and DE J.J. Watt. The Pro Bowl will be played at Camping World Stadium in Orlando, Fla. on January 27, 2019. This marks the 15th-consecutive season that the Texans have had at least one player elected to the Pro Bowl and the six selections are the most for Houston since 2012. Watson became the first player to record at least 4,000 passing yards, 25 passing touchdowns, 500 rushing yards and five rushing touchdowns in a single season in NFL history. This is Watson’s first career Pro Bowl appearance. This past season he became the first player to record at least 4,000 passing yards, 25 passing touchdowns, 500 rushing yards and five rushing touchdowns in a single season in NFL history. While at Clemson, Watson became the first college player to throw for 4,000 yards while rushing for 1,000 during his sophomore season. During his second year in the league, the former Clemson quarterback put up 4,165 yards passing along with 26 touchdowns through the air. He also added 551 rushing yards and five rushing touchdowns. He ranked third among all quarterbacks in rushing yards in 2018 while also recording the most rushing yards and rushing touchdowns by a quarterback in a season in team history. 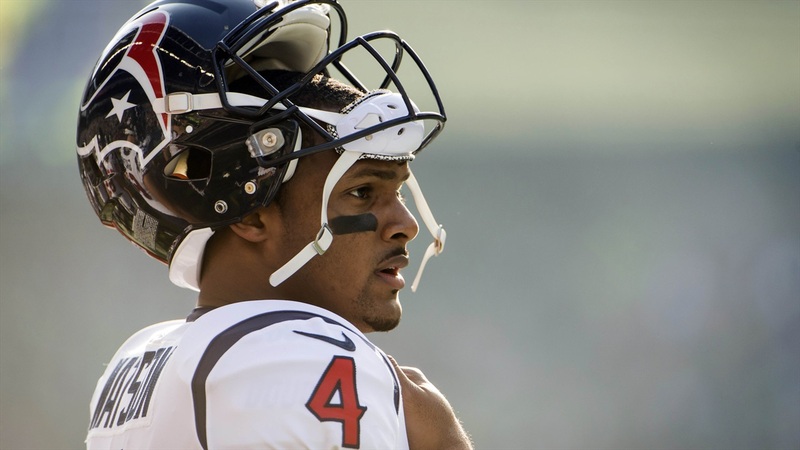 As for the Texans’ record books, Watson became the first quarterback to throw for at least 25 touchdowns and fewer than 10 interceptions in a season in franchise history. He also recorded the second-most touchdown passes and third-most passing yards in a season in Texans history.